Today I am going to review one more product from brand Olivia . 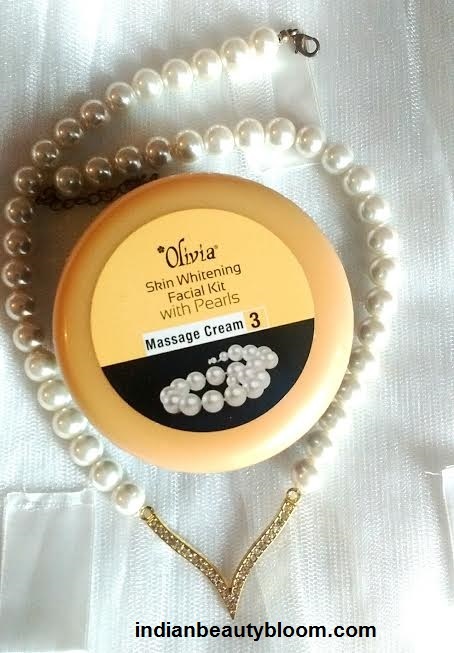 Olivia Skin Whitening Facial Kit with Pearls is a facial kit with five products using which one can do facial at home . There is big cardboard box inside which all the five products are packed nicely , no leakage or any other issues . 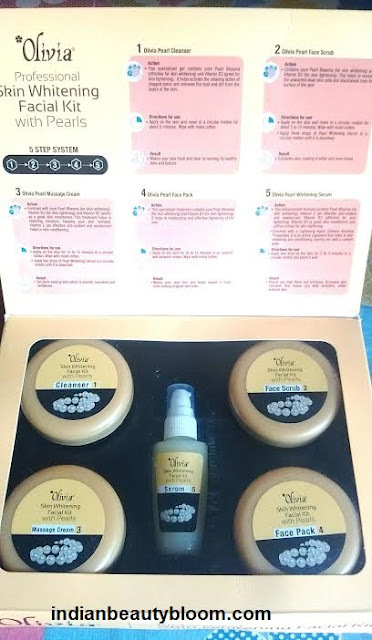 On the flip all the product information is given along with step by step method to follow to do the facial . It’s a White Gel with nice fragrance . This contains Pure pearl Bhasma (powder) with vitamin B3. It opens and cleanses the clogged pores and removes dirt from skin . 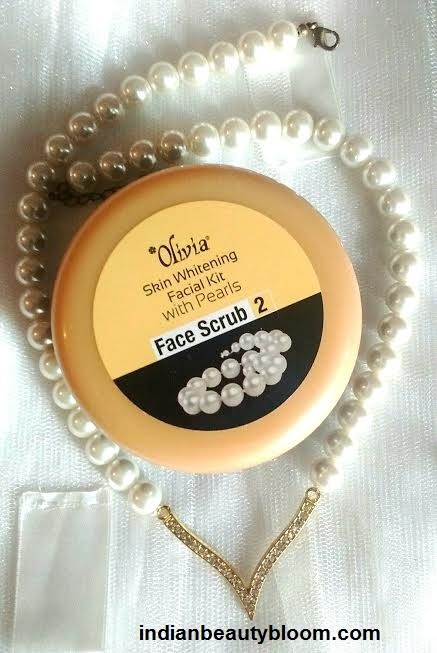 This is a scrub which contains Pearl Bhasma and Vitamin B and it helps to remove blackheads and dead cells from skin . Its white in color and has scrub particles in it . This is a massage cream with Vitamin E , Vitamin B3 , B5 and Peral Bhasma . It nourishes the skin and keeps it hydrated . Its a white cream with thick texture . 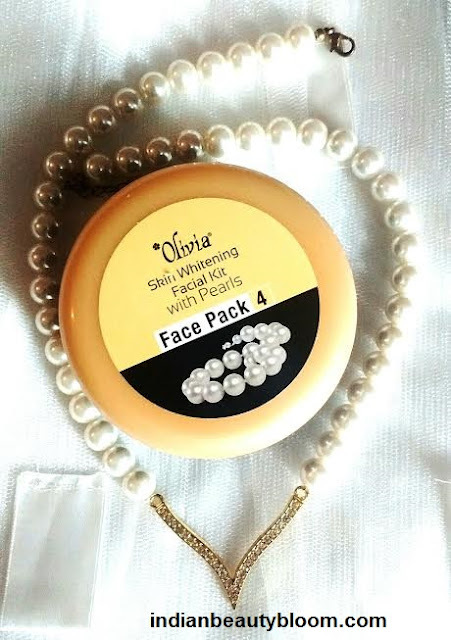 This is face pack with pearl Bhasma and Vitamin B3 and it helps to moisturize and tighten the skin . This is light yellow in color and seems similar to mud packs . 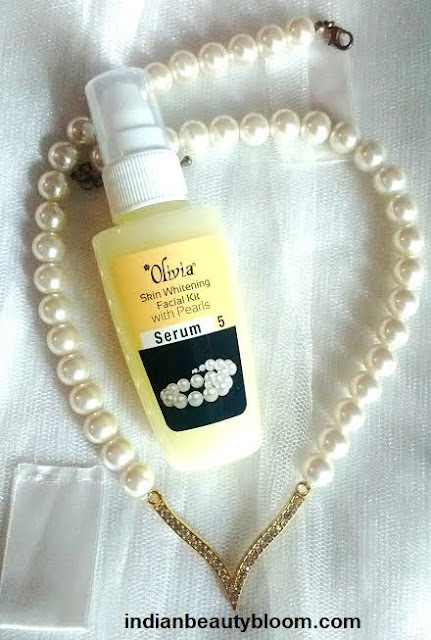 This serum is enriched with lightening agents and helps in skin whitening and conditioning . It acts an antioxidant . This is a white serum with thick consistency . 1. 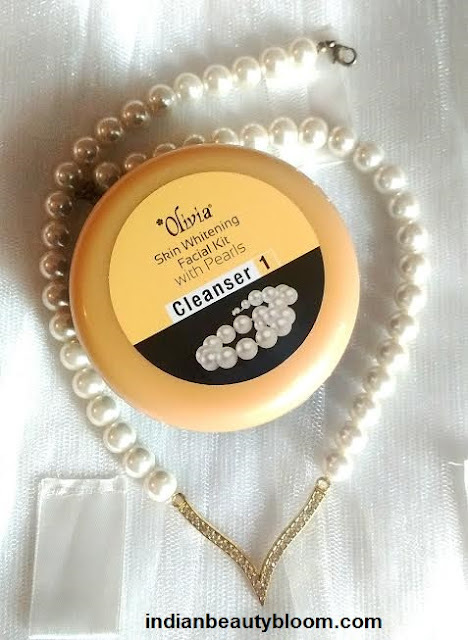 After washing and cleaning face one needs to use the Pearl Cleanser first . One needs to apply a little of it on face and neck and massage it in a circular motion for about 5 minutes , then one needs to wipe it off with a moist cotton . 2. Then one needs to use the face scrub. One needs to apply a little of face scrub on face and move it in a circular motion for about 10 minutes specially the nose area to remove blackheads . Then wipe it off with a moist cotton .It exfoliates the skin and makes it softer . 3. After this one needs to apply the massage cream on face and massage it in a circular motion for about 10-15 minutes . This cream nourishes and vitalizes the skin . 4. After the third step one needs to apply the face pack and leave it for 15-20 minutes on face and neck . Ones it dries one needs to wash it off or wipe it off with a moist cotton . 5. In the last step one needs to apply a drop of serum and blend it well on face . I have used this Kit once and its good . One can easily follow the steps and do facial at home . Price of this kit may seem bit high but considering the fact that one needs small amounts of each product to do a single facial , so using this kit one can do facials many times , around 8-10 times , so its economical as compared to facial done at Beauty parlors where a single sitting costs around Rs 500 -800 . 1. Product Packaging is good . 3. One can easily follow the steps and do facial at home . 4. All products are good and do what they claim . 5.Quantity of products are sufficient for doing many facials . This is not a herbal or organic product , it does contains some chemicals including Parabens , so not for those who look for Paraben free products . 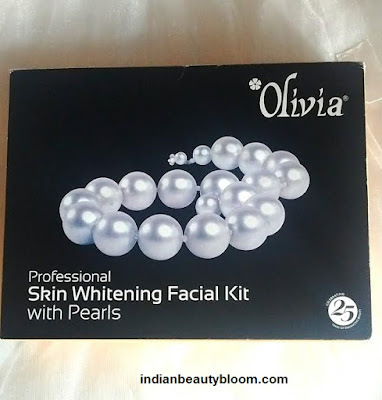 One can buy Olivia products from online stores like Amazon , Flipkart etc .